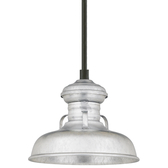 The Curved Milk Man Shade is a design that demonstrates the power that choice of finish has when it comes to the final look of a light fixture. 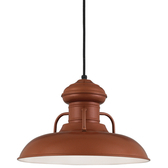 For barns and homestyle restaurants, earth tones such as bronze and powder coat rust complement a warm aesthetic, while bold finishes such as black and oil-rubbed bronze can add class and professionalism to a space. 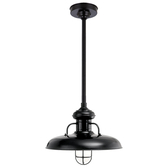 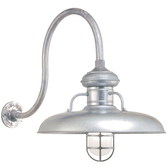 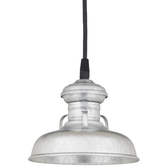 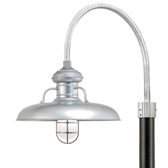 From goosenecks to pendants to post lights, the Curved Milk Man can be made to work for you.